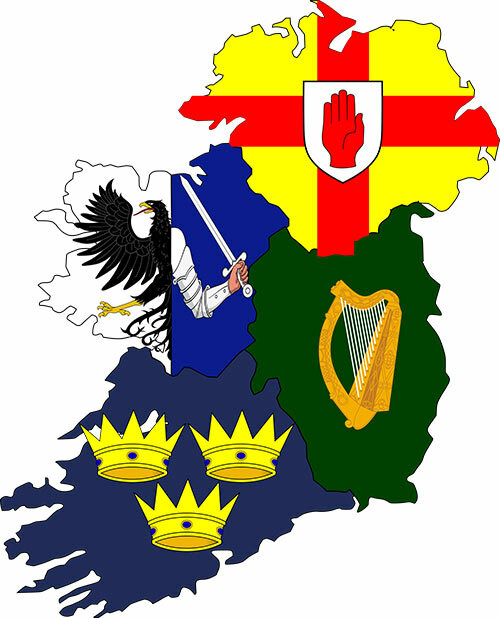 This Unique tour will bring the tourist to the four ancient provinces of Ireland, Ulster, Connaught, Leinster, and Munster in one day. Starting off in Portlaoise Co Laois (Leinster) travelling to through Limerick City to the iconic world famous Cliffs of Moher in Co Clare (Munster) then along the western coastline through Kinvara Co Galway and up through Galway City (Connaught) to Athlone Co Westmeath. We will continue on the route then up to the quaint Village, of Finea Co Westmeath were we will cross the bridge into Co Cavan and into the Northern province of Ulster. This tour involves alot of driving, and I appreciate the demands put on the tourist in this day, however this is a long day tour and I will guarantee a right good Irish day, full of information, facts, and knowledge on the history of the areas visited. I am flexible in so far as if there any specific places of interest along the tour then I will oblige the tourist. This tour will bring the tourist through a wide range of various Irish Towns.